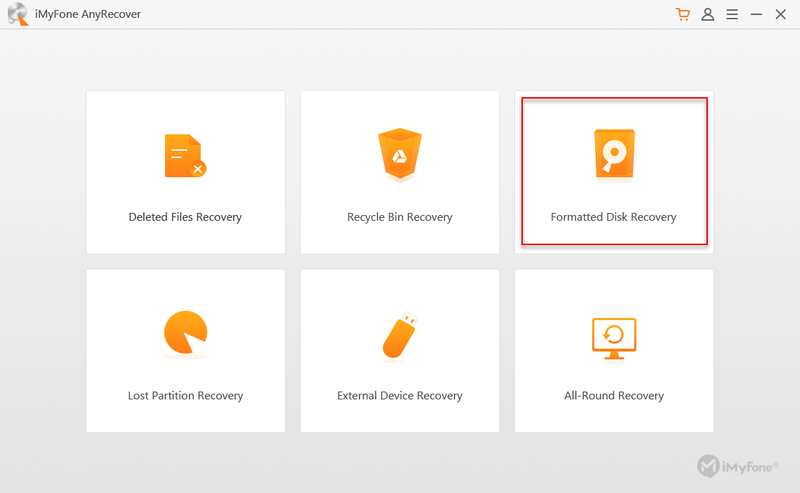 Open AnyRecover and choose the “Formatted Disk Recovery” mode. With the help of this mode, you will be able to recover lost data from a formatted hard drive, USB drive, and other data storage devices. Choose the hard drive or external drive on which your data is missing and hit the “Next” button. Choose the file type you want to retrieve and hit the “Scan” button to initiate the scanning process. AnyRecover will begin an elementary scan, it will require some time to scan the formatted hard drive or external drive. If you are unable to find your missing files, you can repeat the process using the “All-Around Recovery” method. Once the scanning is complete, AnyRecover will display all the files based on the file type or folder to which the file belongs. You can filter the files you want and select them to preview. Once you’re sure, you can hit the “Recover” button to recover your lost data.